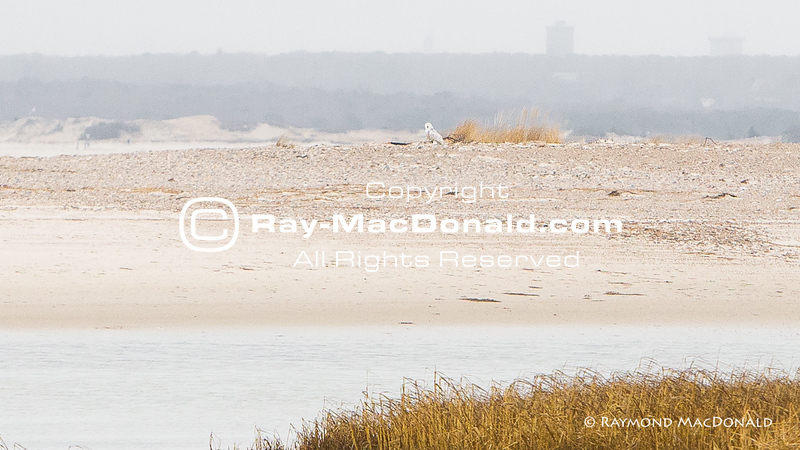 2015_12-30 Sandy Neck, Barnstable, MA. Pictured: Norman Smith, Director of MA Audubon's Blue Hills Trailside Museum and The Snowy Owl Project. Norman and his granddaughters Alexa and Camilla are seen during the release of a Snowy Owl fitted with a solar powered tracking transmitter. The female Snowy, nicknamed "Wampum" is being tracked and her movements mapped in collaboration with Scott Weidensaul's Project Snowstorm.